DJ Johnny K Sound System seeks to provides its clients and websites with links to other wedding services/products and businesses that we think will be of interest to them. We do not endorse everything on the websites listed below. Rochester Limousine – Great Limo Service serving the Rochester NY area. Artistique Photo – As one of the top Buffalo wedding photographers, Artistique offers wedding photography at affordable prices. Ted’s Tunes DJ Service Ted’s Tunes are experienced and members of the CDJA as well as being insured members of the AVLA. They are a multi-system company entertaining in the Niagara area for over 28 years. Toronto Area DJ Bob Hawkins.com – Bob and Rob Hawkins are your DJ source for events in the Greater Toronto Region! Visit my Canadian friends! 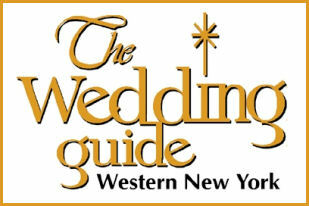 Is your wedding or event taking place somewhere else across the USA? Listed are other full-time DJ/Entertainment companies that DJ JOHNNY K recommends! DJ Johnny K ! Thank you so much for the fantastic job you did at my daughter''s wedding reception. Since she is my only daughter, I had a goal of everything being exactly as she wanted it. You were professional, cordial & helped us to reach that goal. Please feel free to use me as a reference for future business. With much appreciation.